The Auschwitz-Birkenau State Museum is a public museum located in the Polish town of Oświęcim, consecrated to the memory of the victims of the Nazi concentration, forced labour and extermination camp, as well as to the preservation of the very place (Auschwitz I and Auschwitz II-Birkenau) and the historical objects it contains. A group of people entering the Auschwitz-Birkenau State Museum. © Paweł Sawicki. Despite having lent artefacts to other museums and institutions before, it had never carried on such a substantial collaboration, both for its scale and for its historic relevance, as now, lending more than 400 unique objects to an international travelling exhibition. Created by the Government of Poland in 1947, the Museum comprises 191 hectares and was declared a Heritage of Humanity by UNESCO in 1979. In 2016, it beat its own record when 2 million people visited the complex. 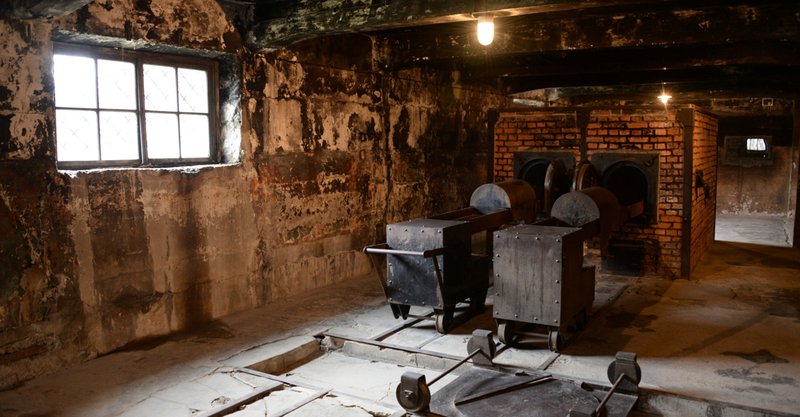 Today, Auschwitz is still the place where the biggest mass murder in history took place. And now that its last survivors and perpetrators are disappearing, the spreading of its legacy has become more important than ever. 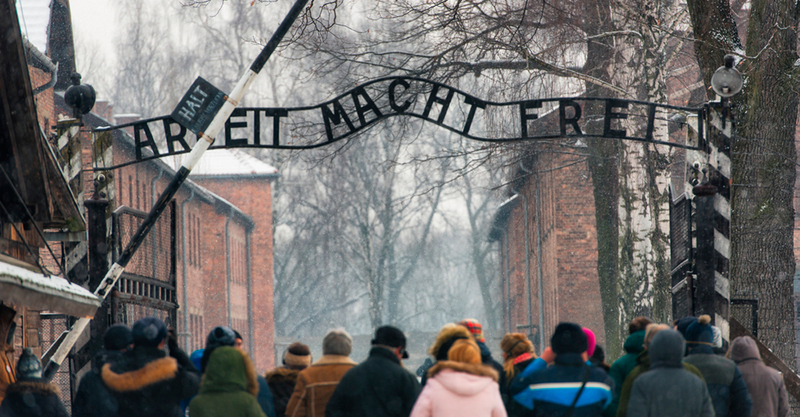 The visit to the Auschwitz-Birkenau State Museum nowadays. Left–Today’s appearance of part of the crematoria. Right–Belongings stolen to prisoners. © Paweł Sawicki. The Auschwitz-Birkenau State Museum develops its divulgation, education and preservation activities thanks to donations. If you want to support such an important and necessary work, you can do it by clicking on the link below.